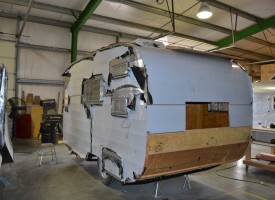 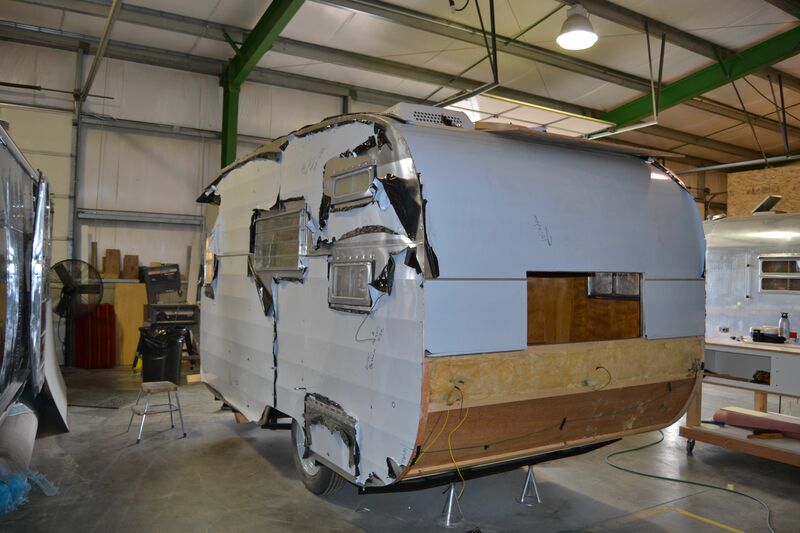 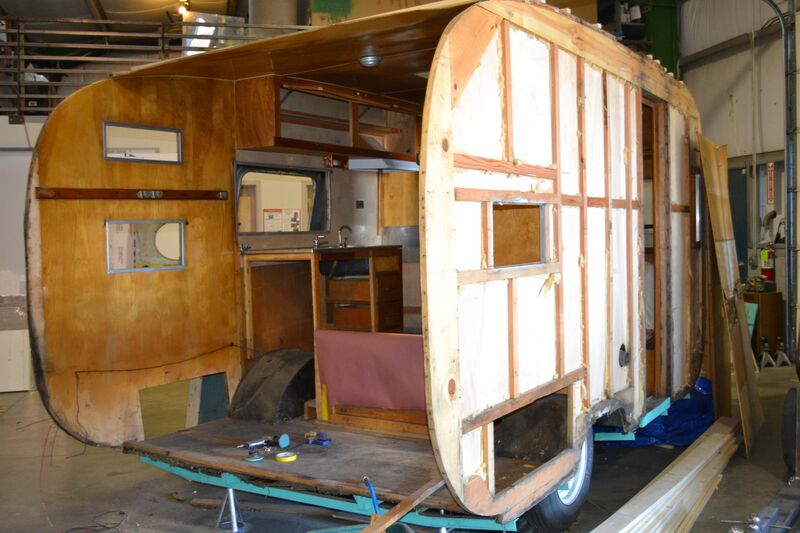 Featured on the first Episode of Flippin' RV's, this 1956 Santa Fe underwent extensive restoration and customization work. 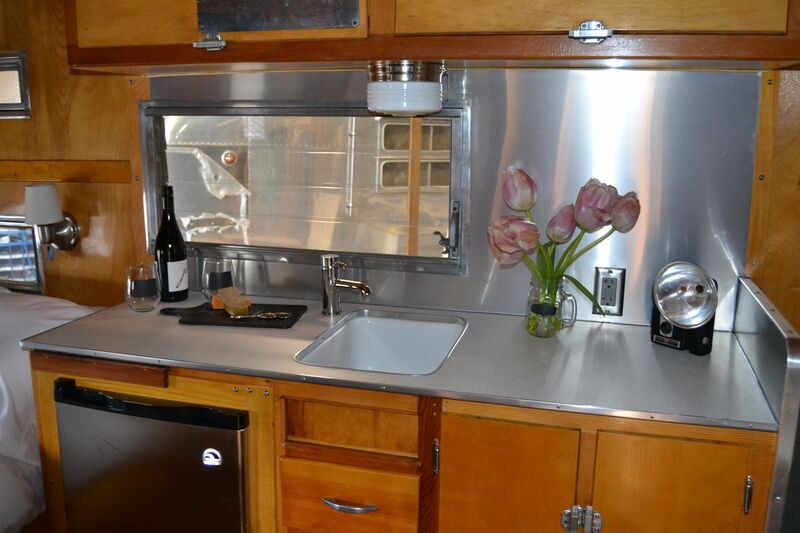 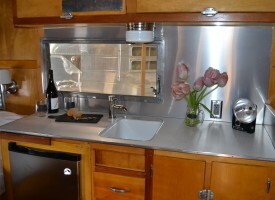 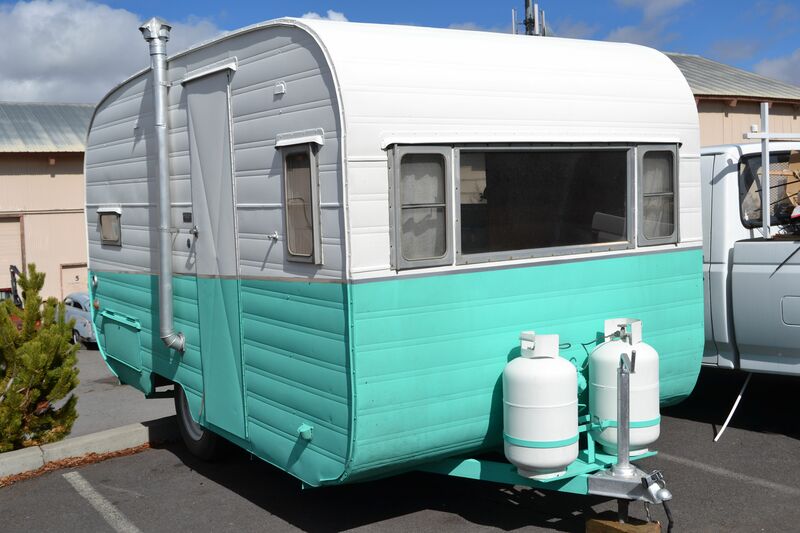 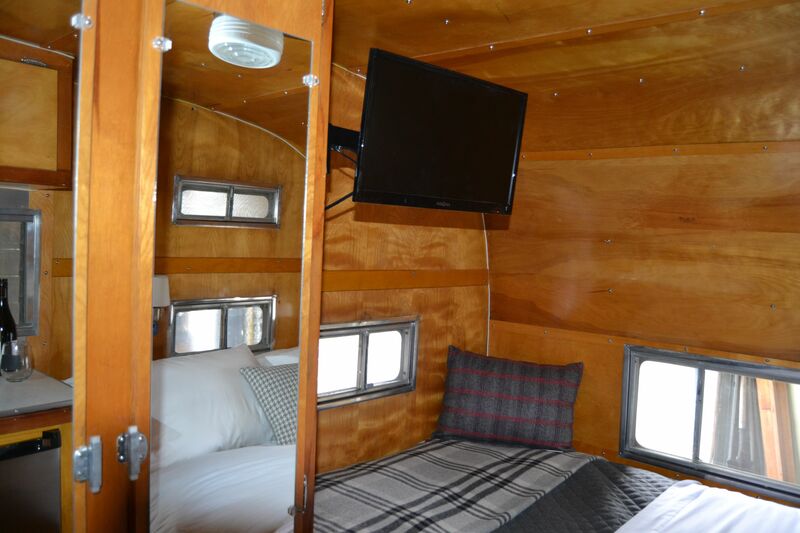 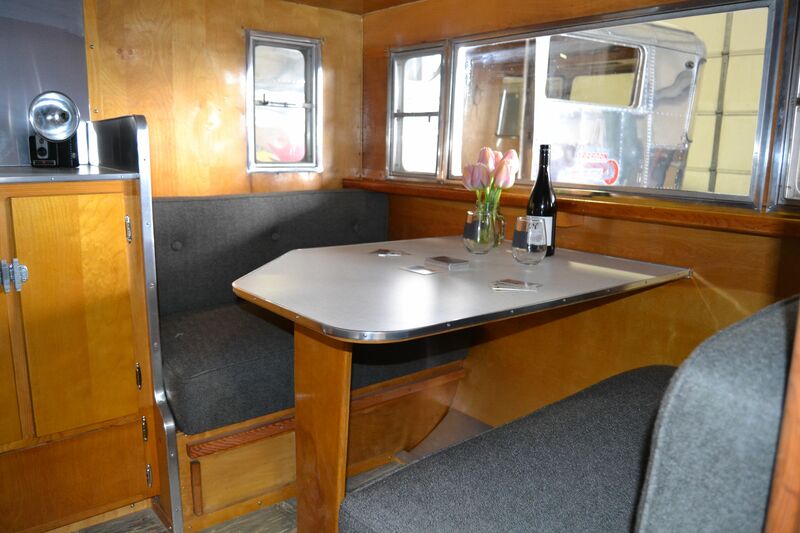 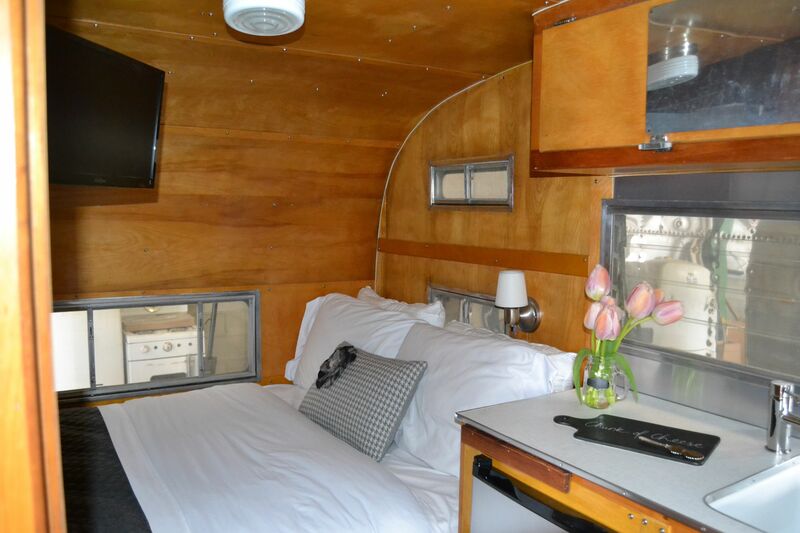 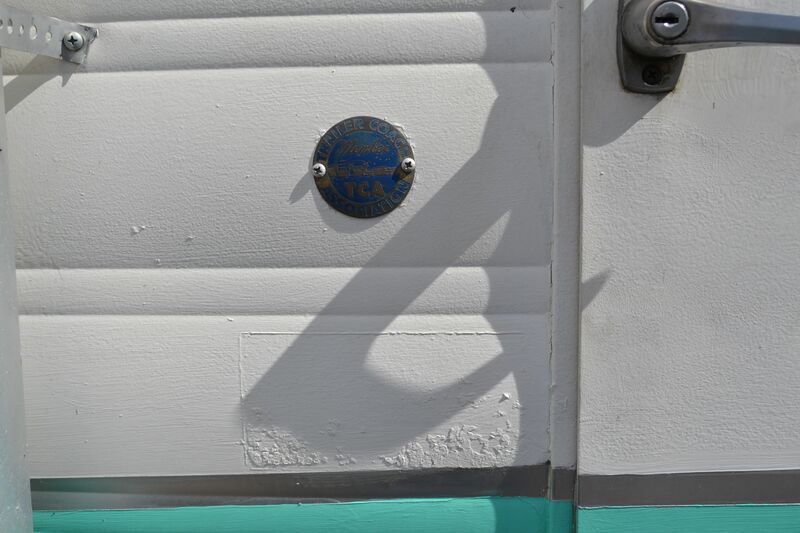 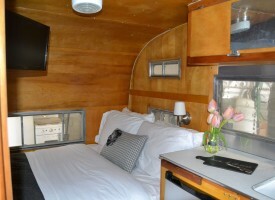 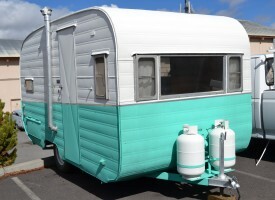 Built for The Vintages, a vintage trailer park located in Oregon's wine country, this trailer is equipt with amenities that you would expect to find in a boutique hotel room, such as air-conditioning, microwave & mini fridge. 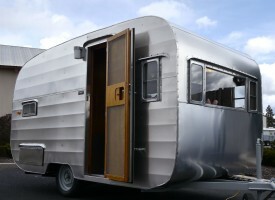 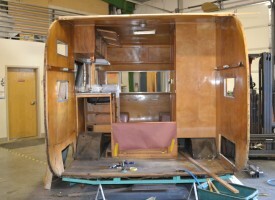 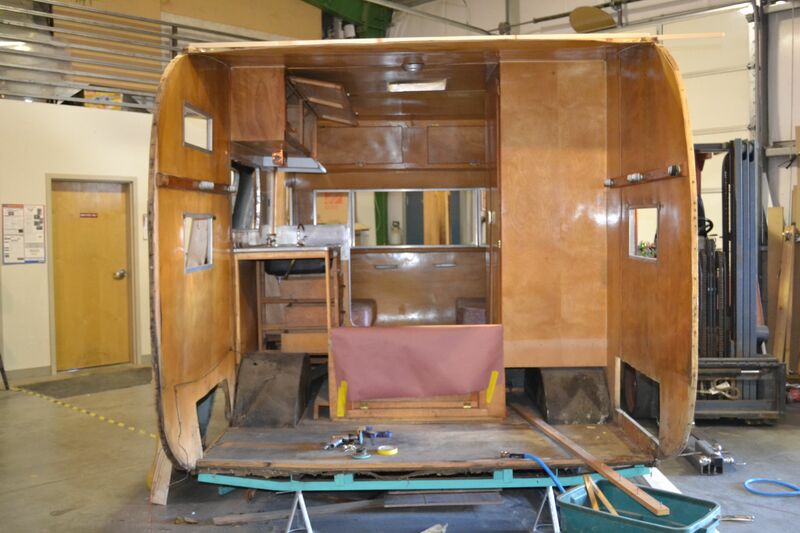 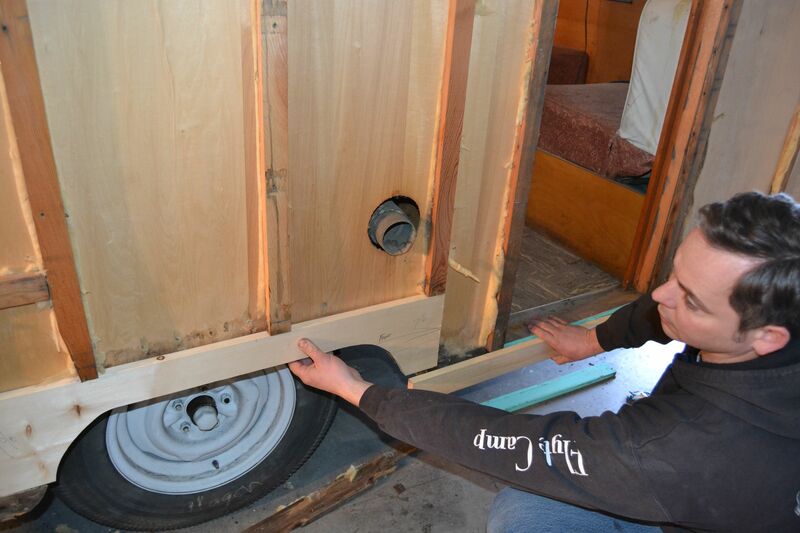 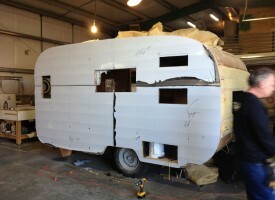 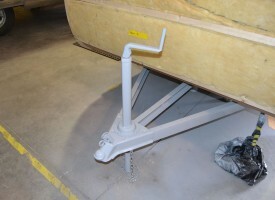 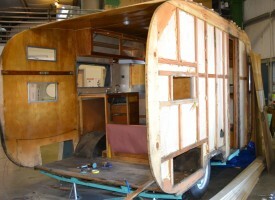 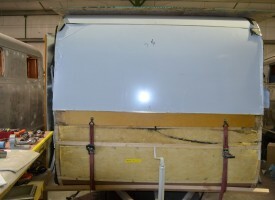 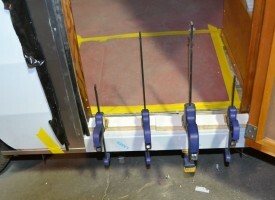 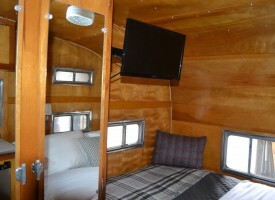 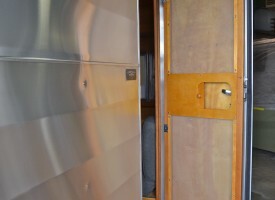 The trailer is designed to sleep up to 2 adults and 2 children. 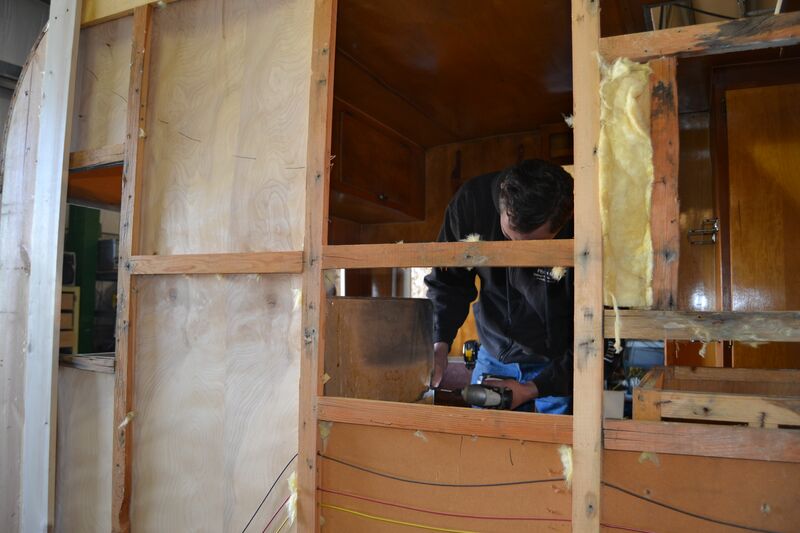 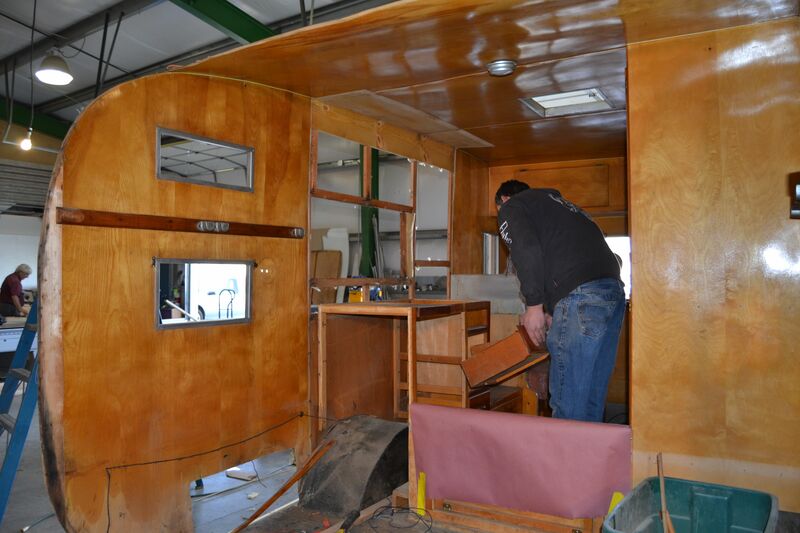 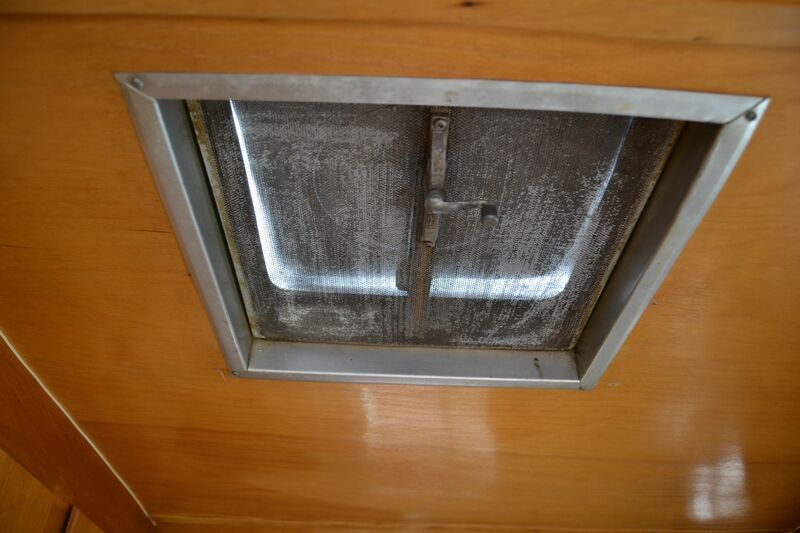 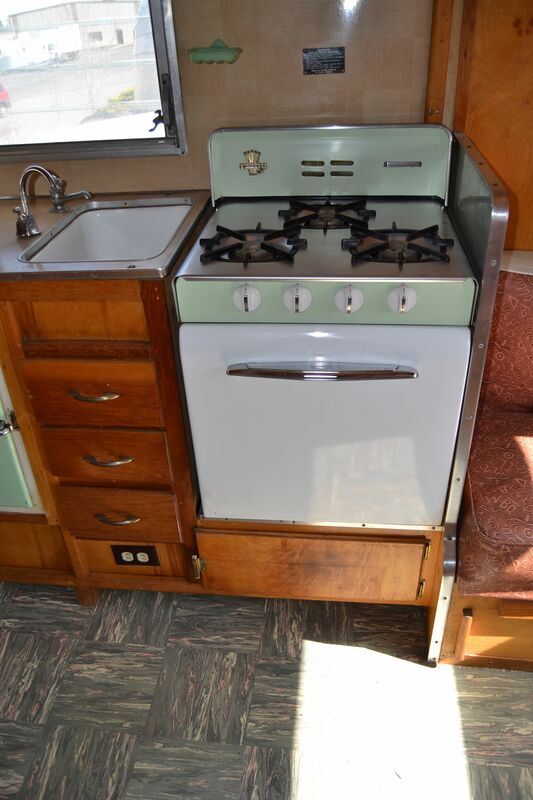 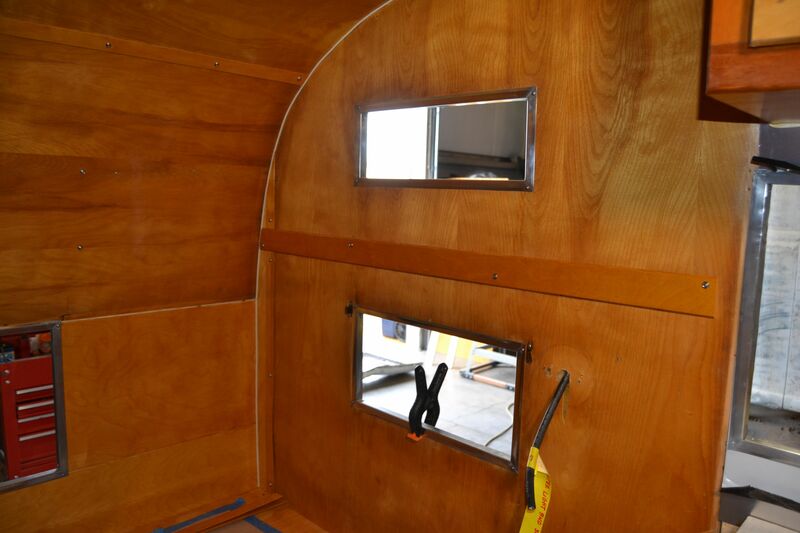 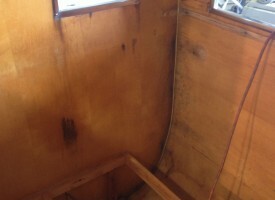 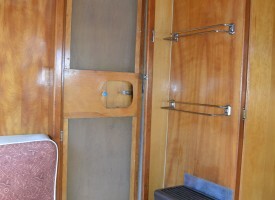 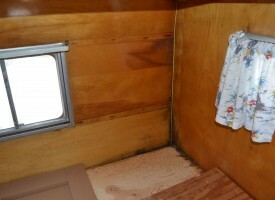 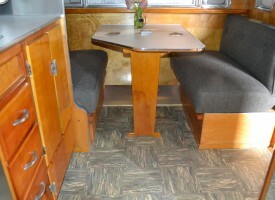 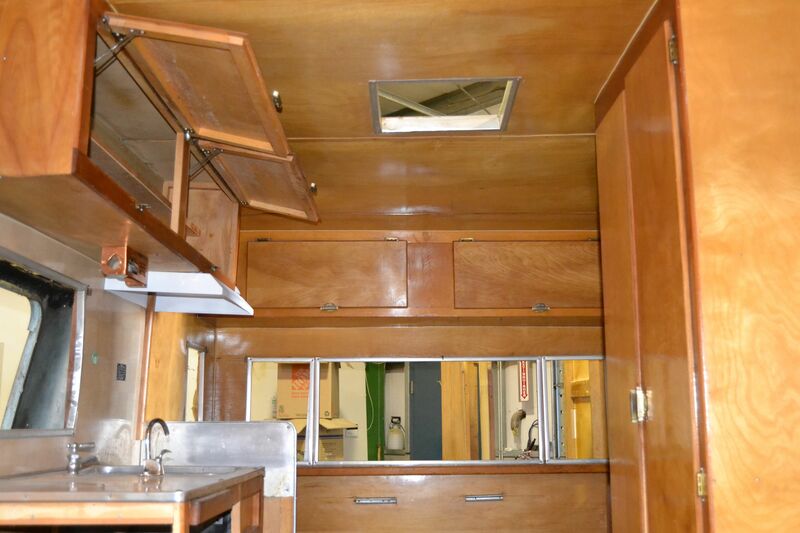 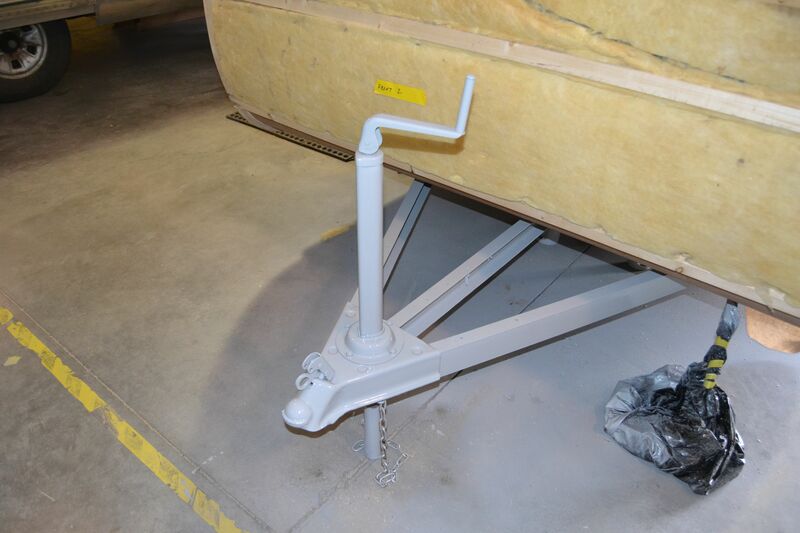 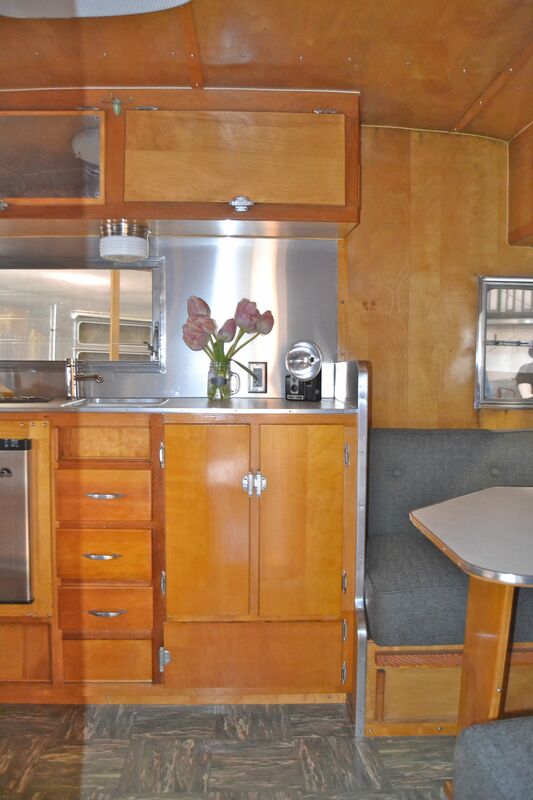 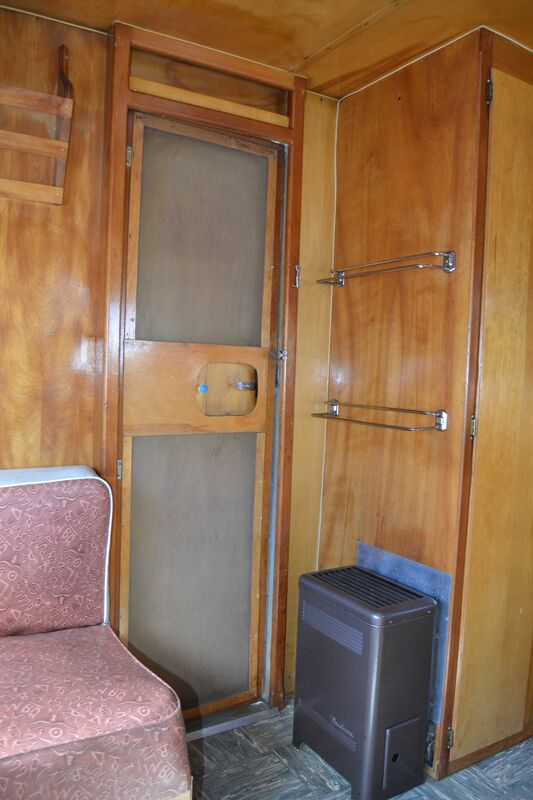 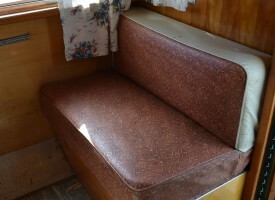 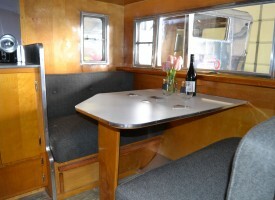 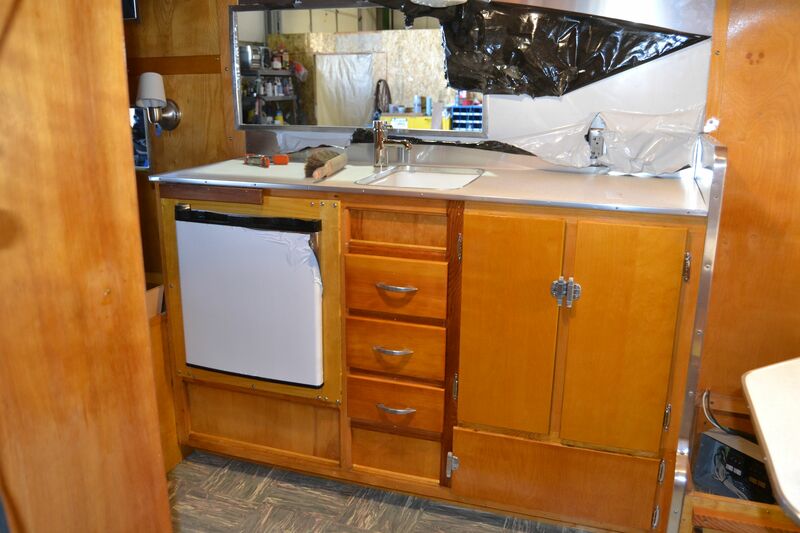 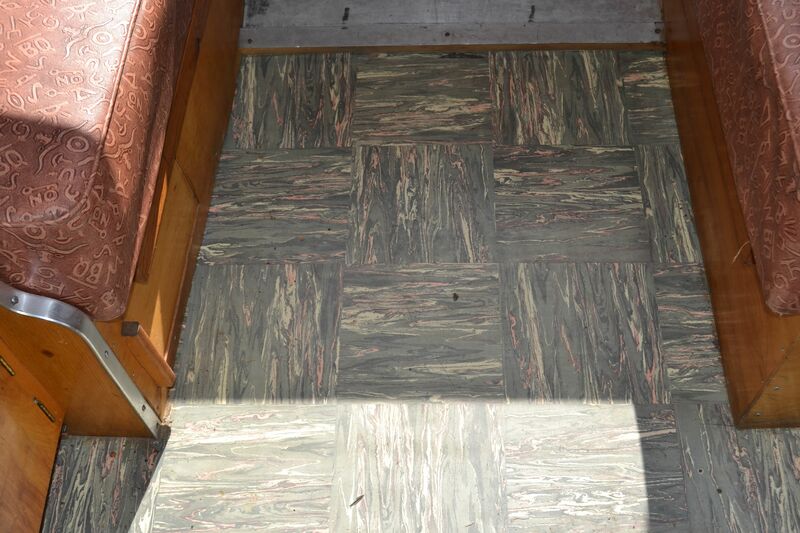 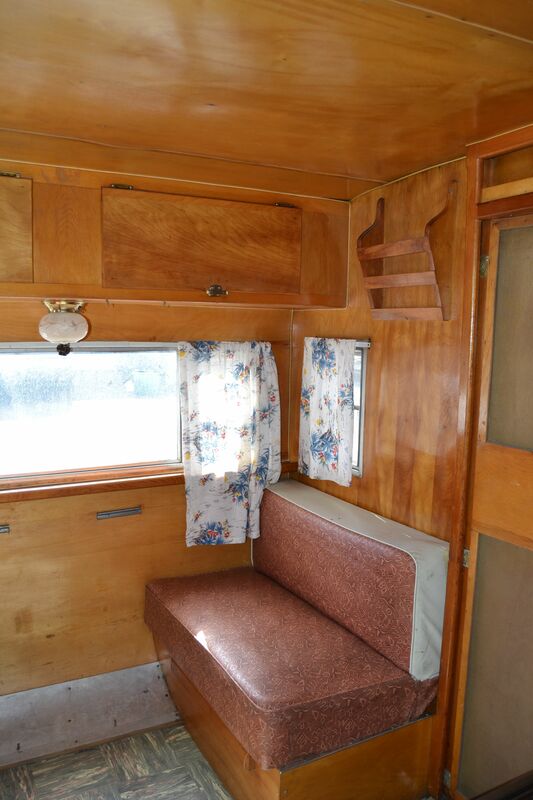 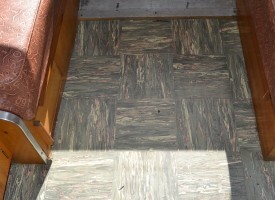 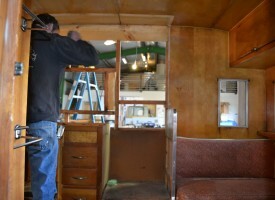 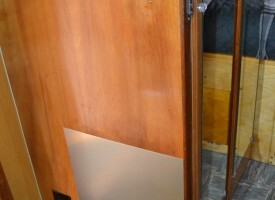 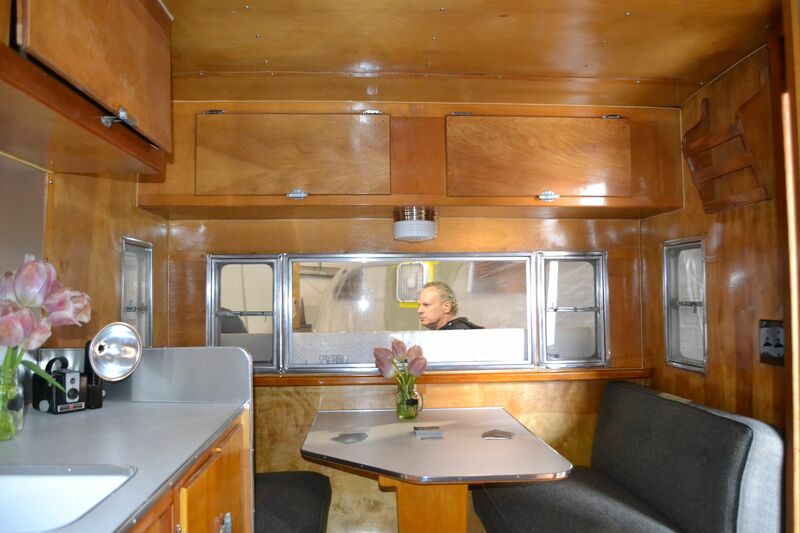 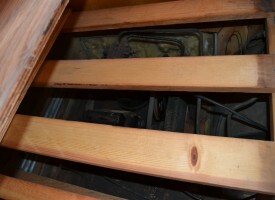 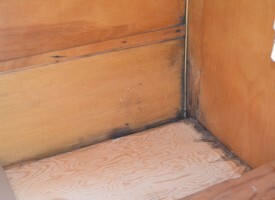 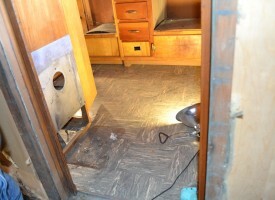 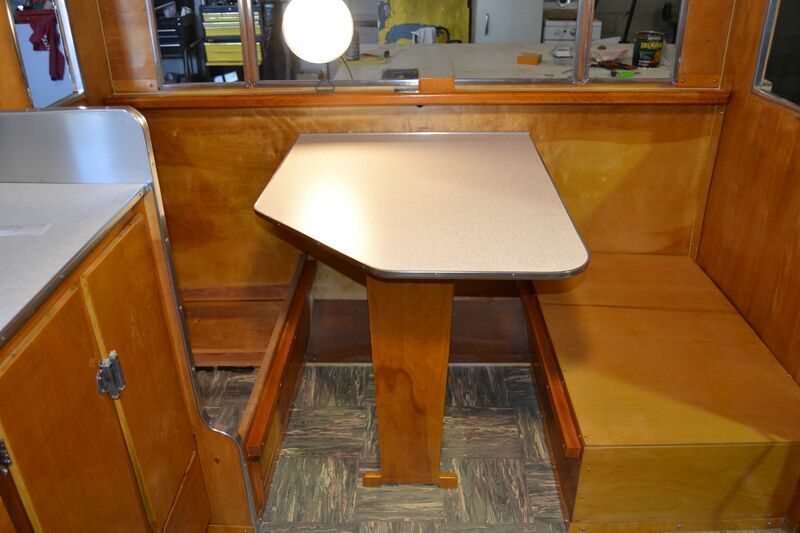 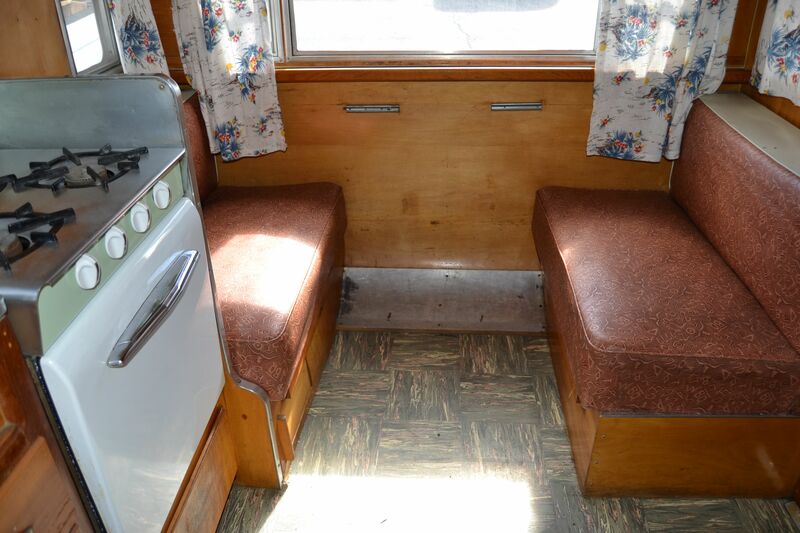 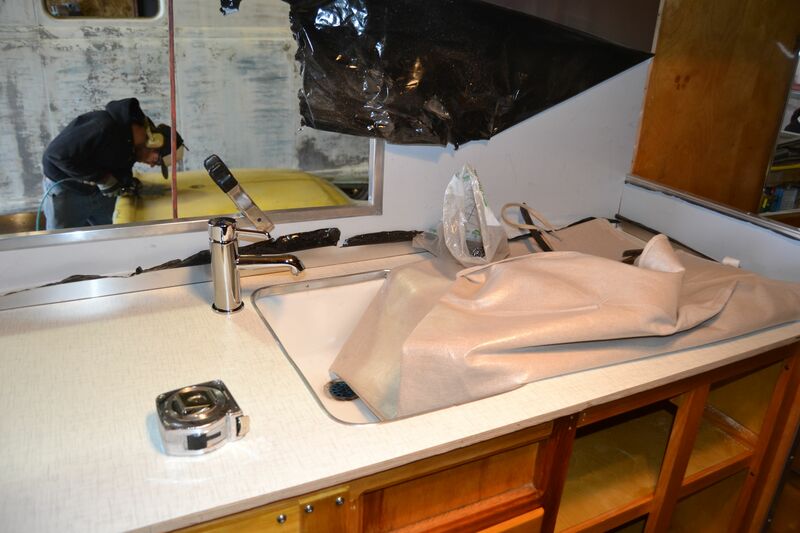 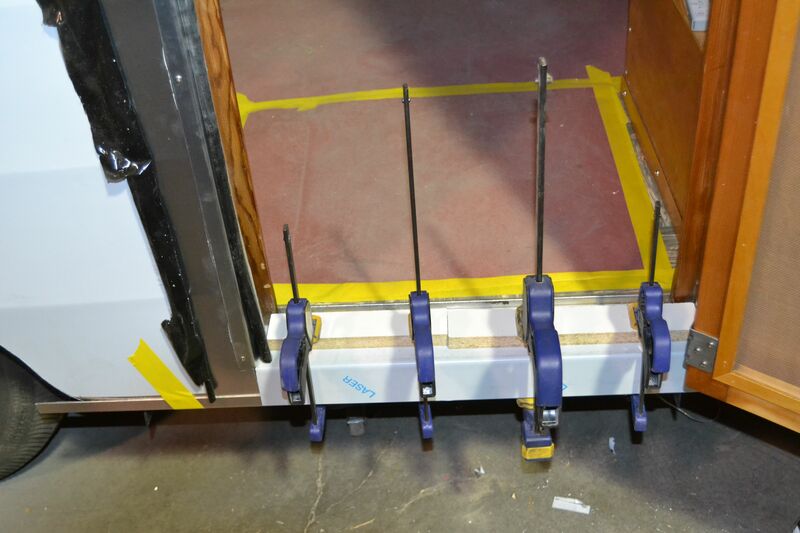 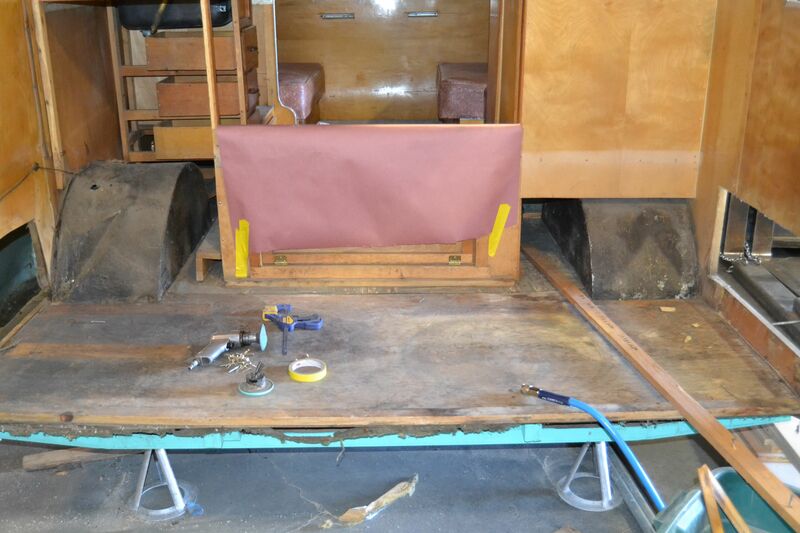 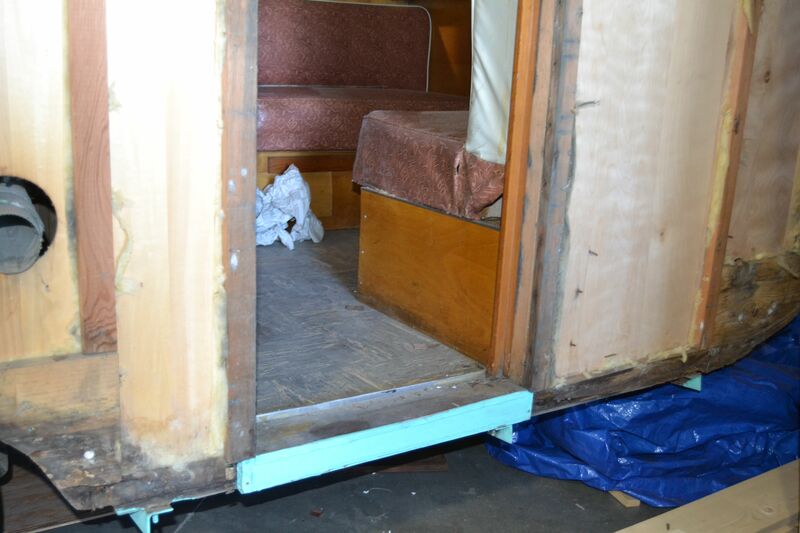 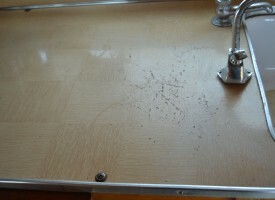 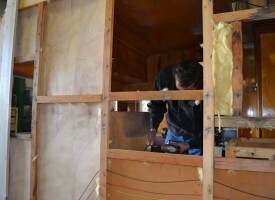 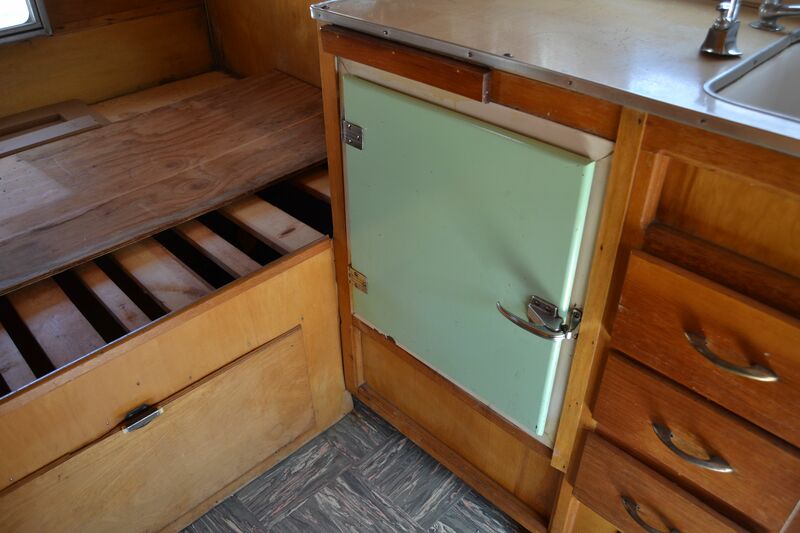 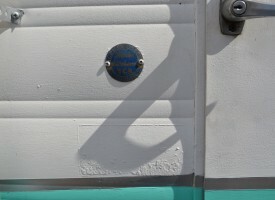 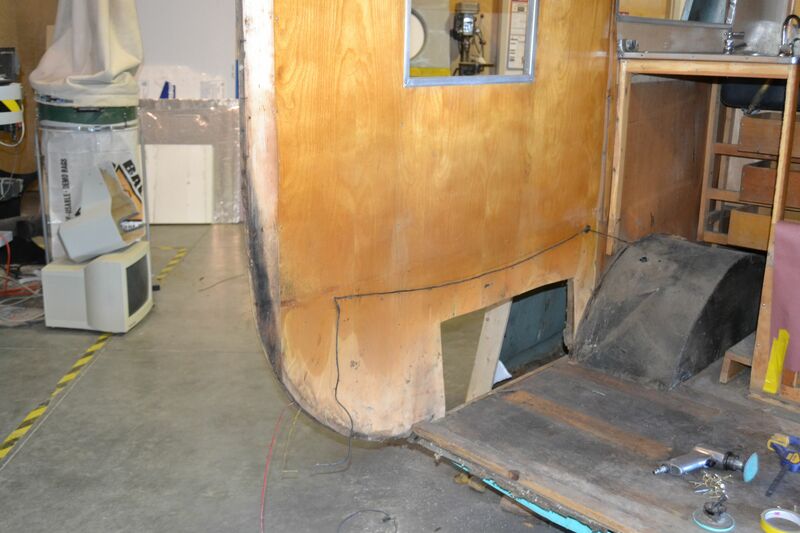 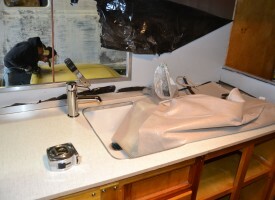 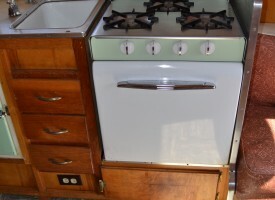 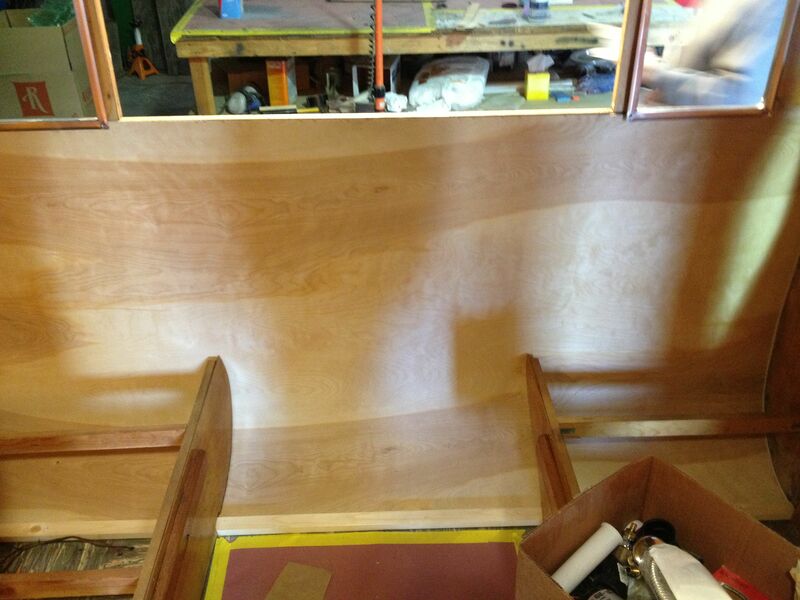 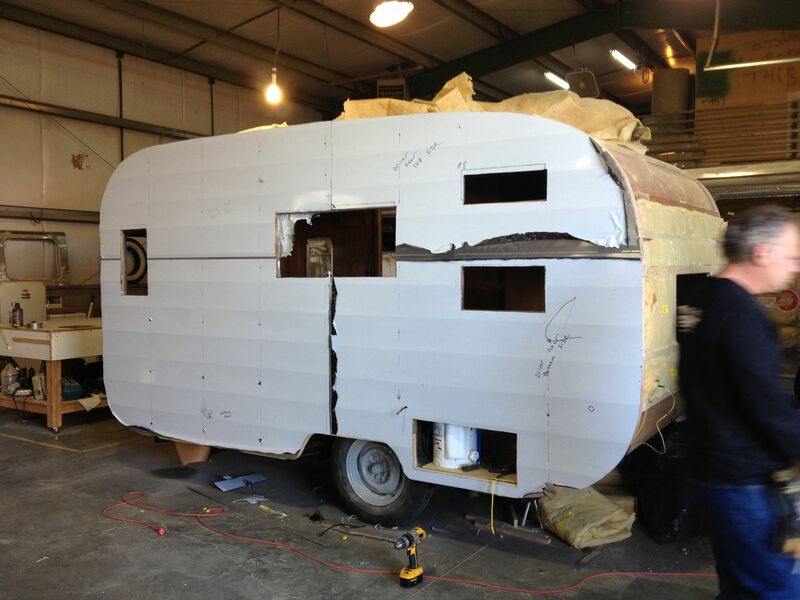 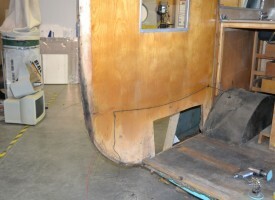 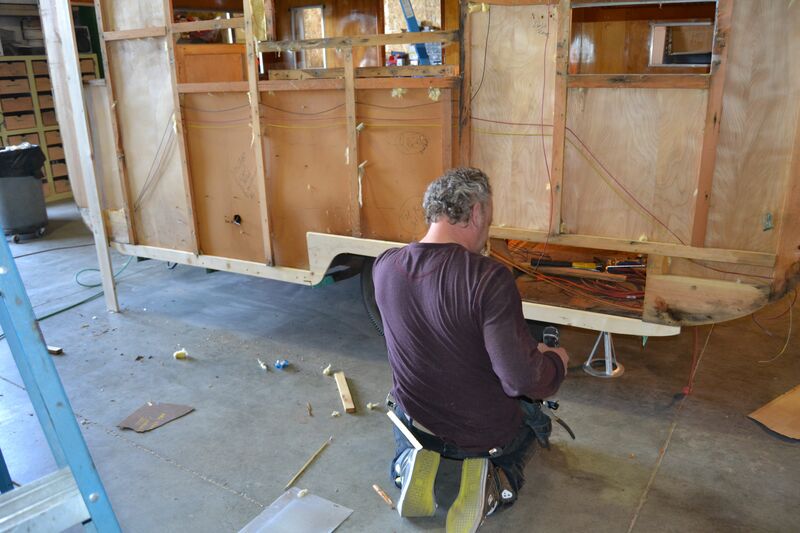 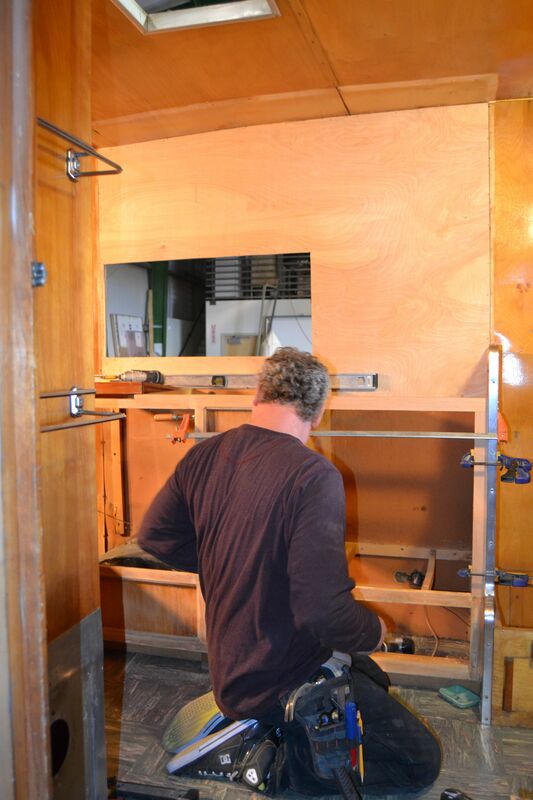 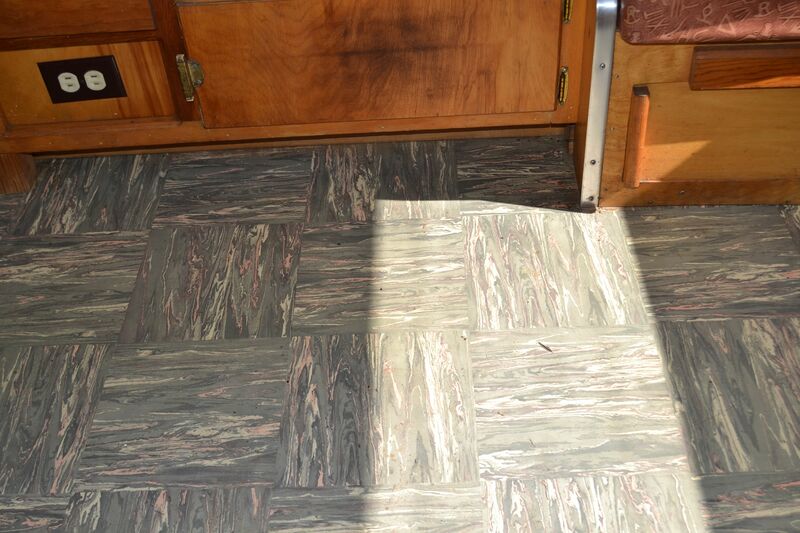 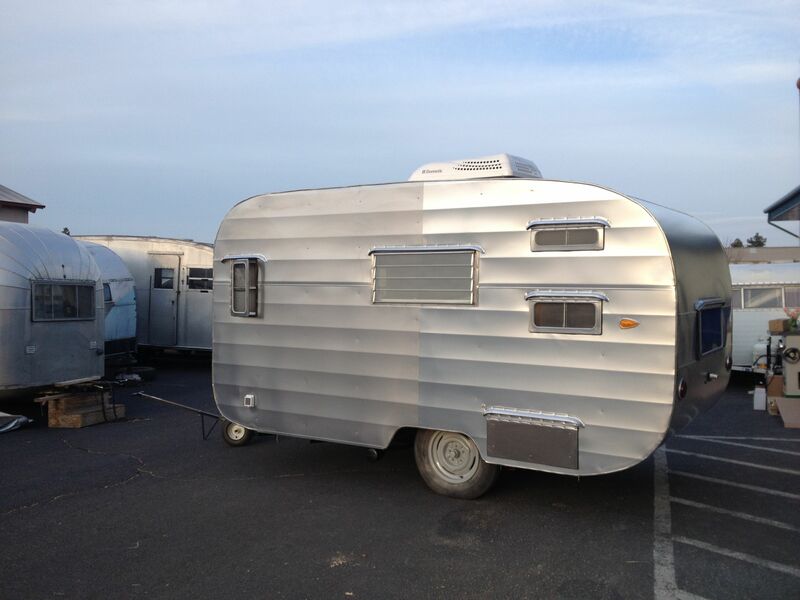 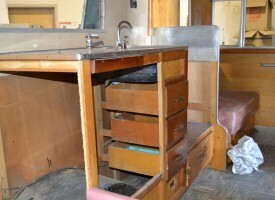 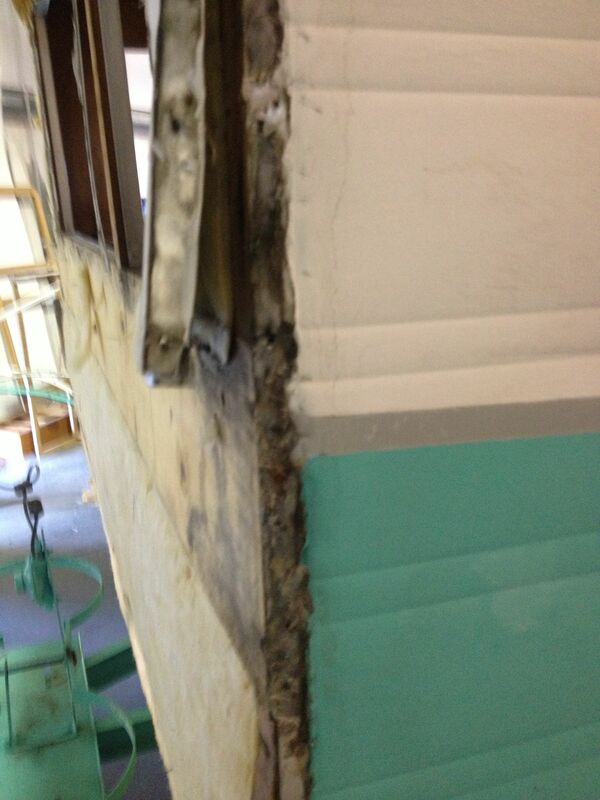 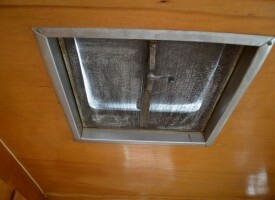 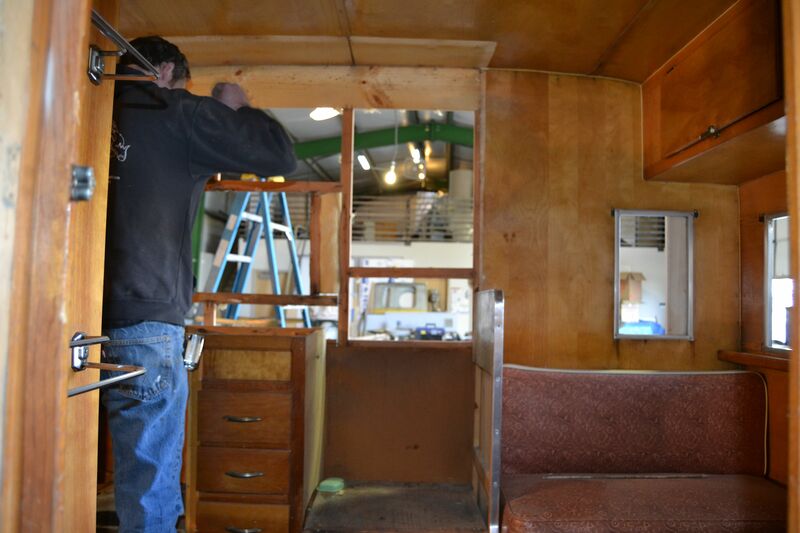 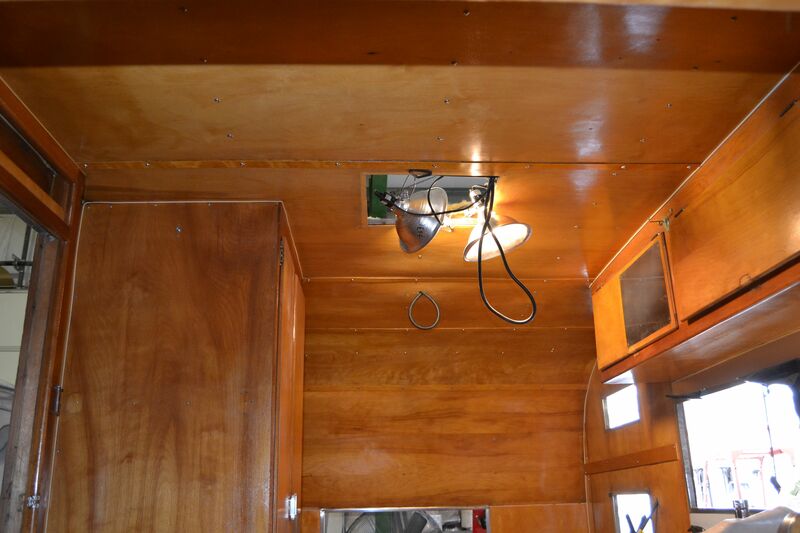 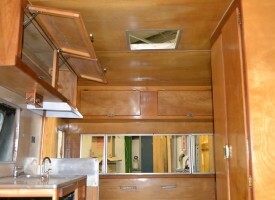 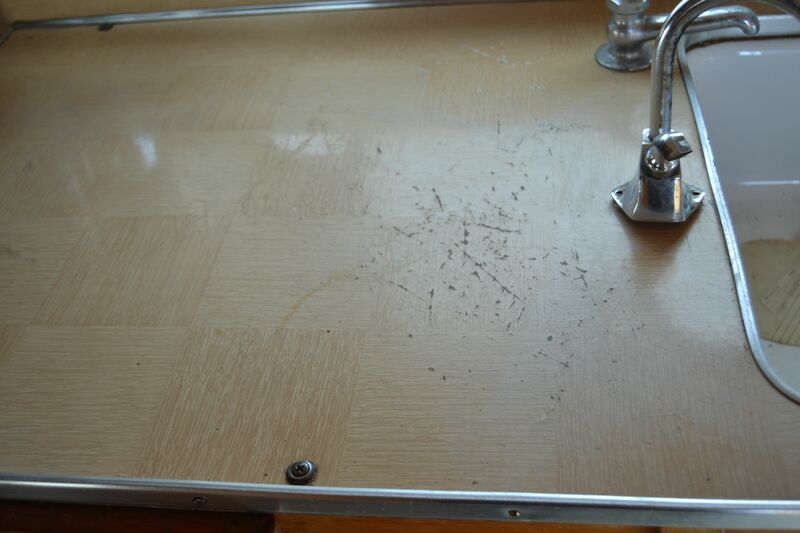 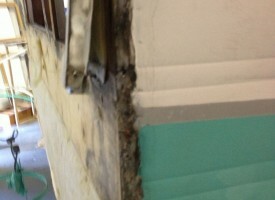 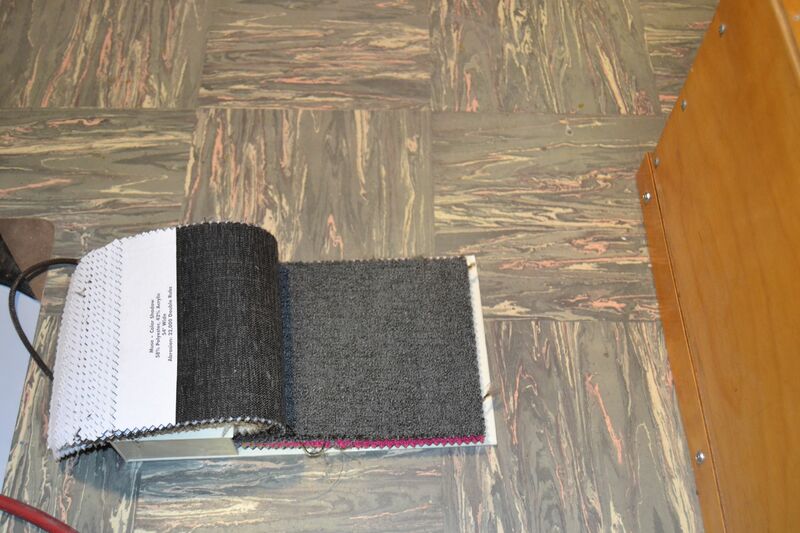 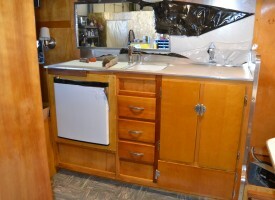 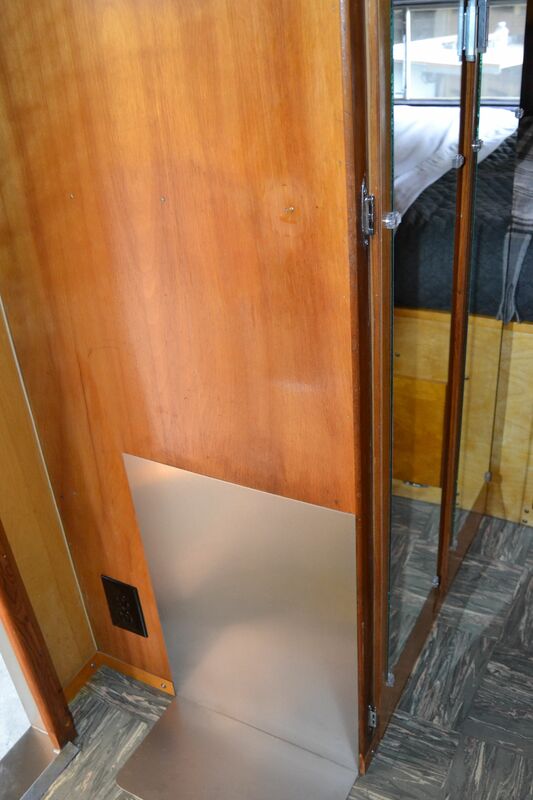 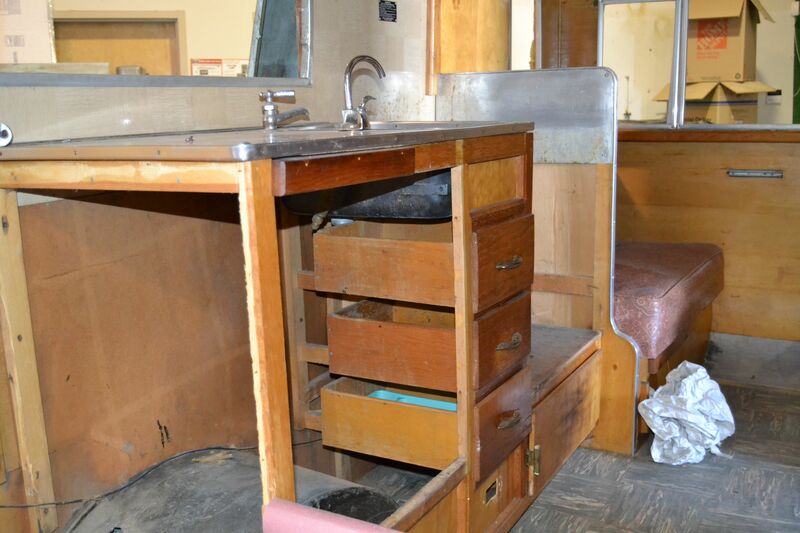 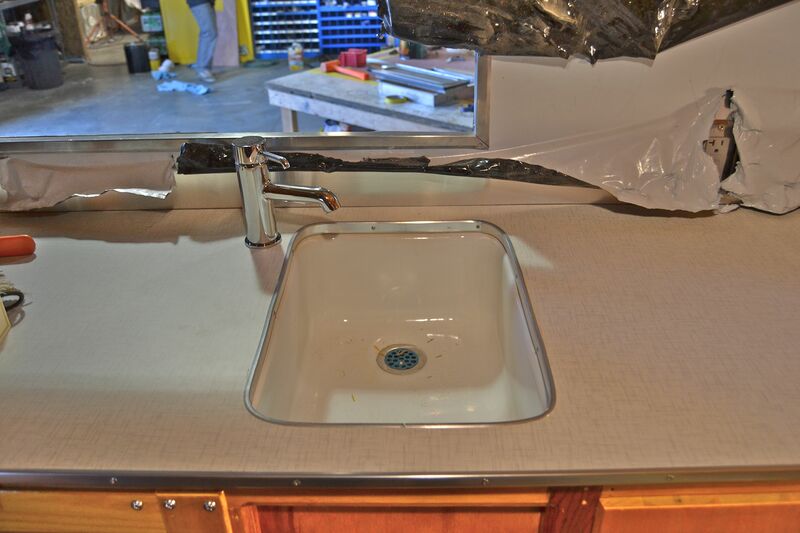 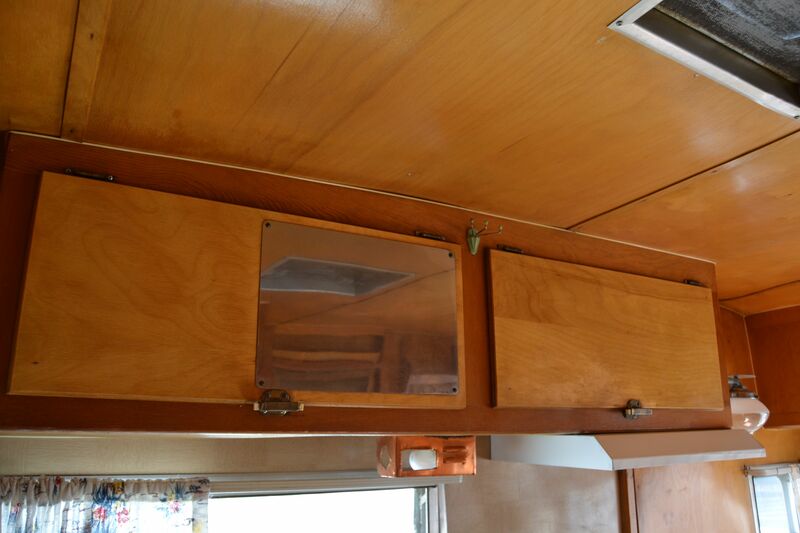 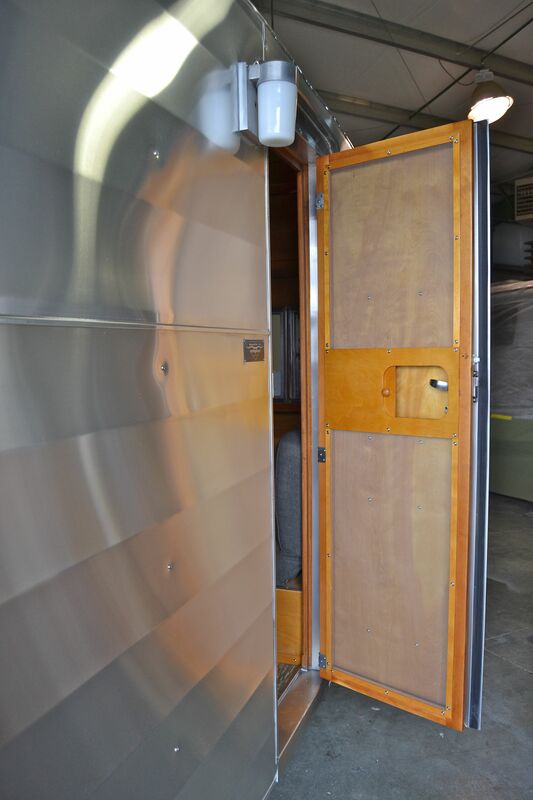 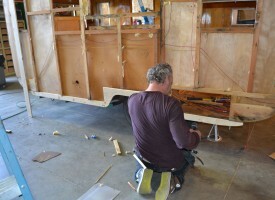 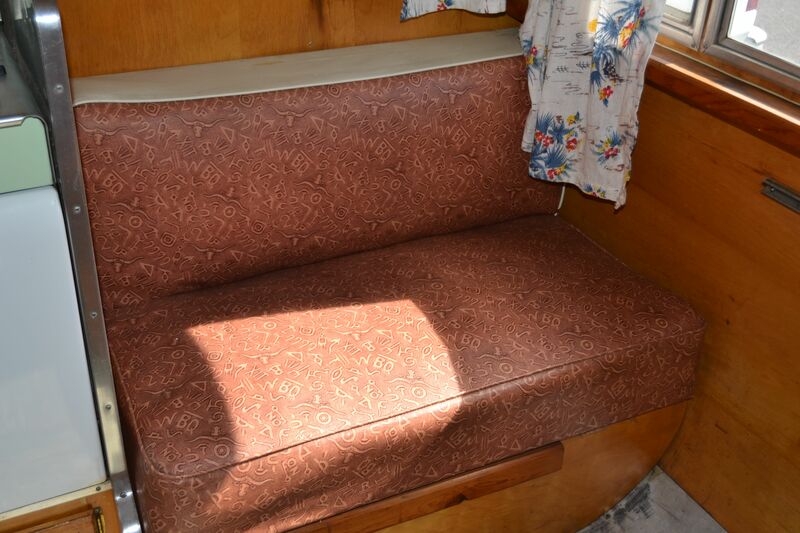 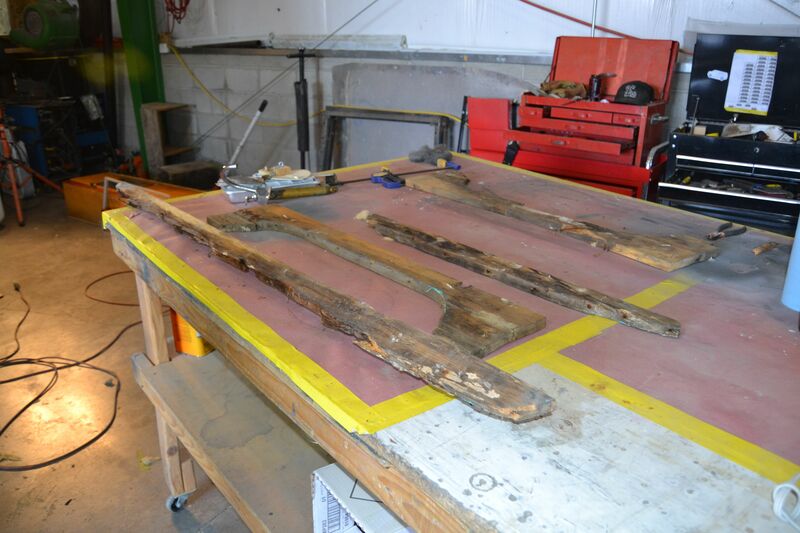 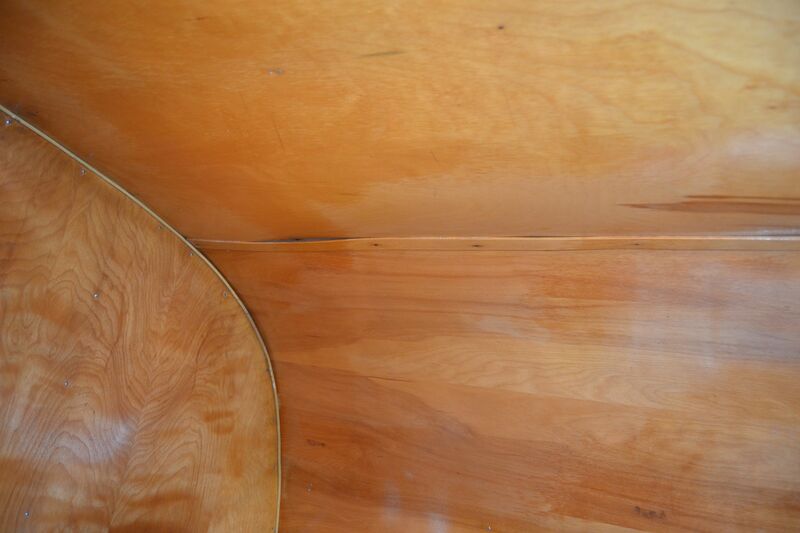 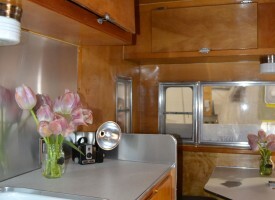 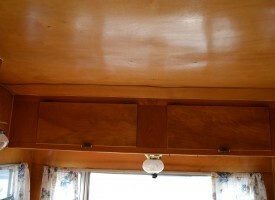 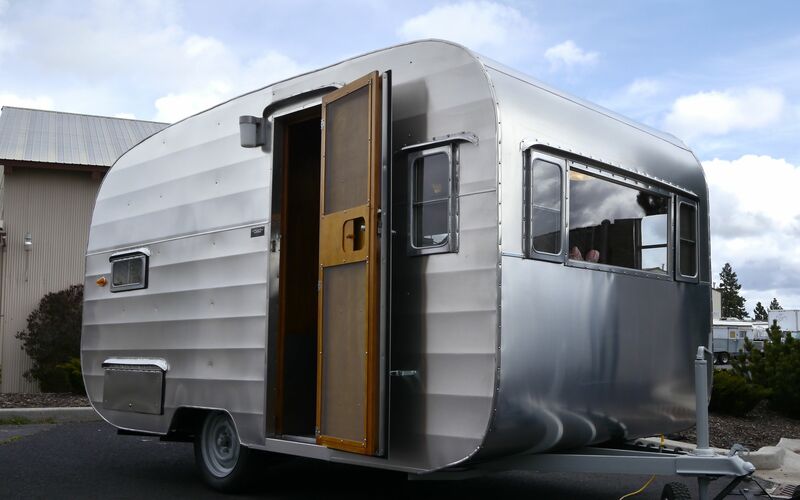 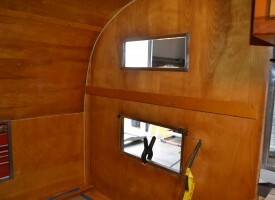 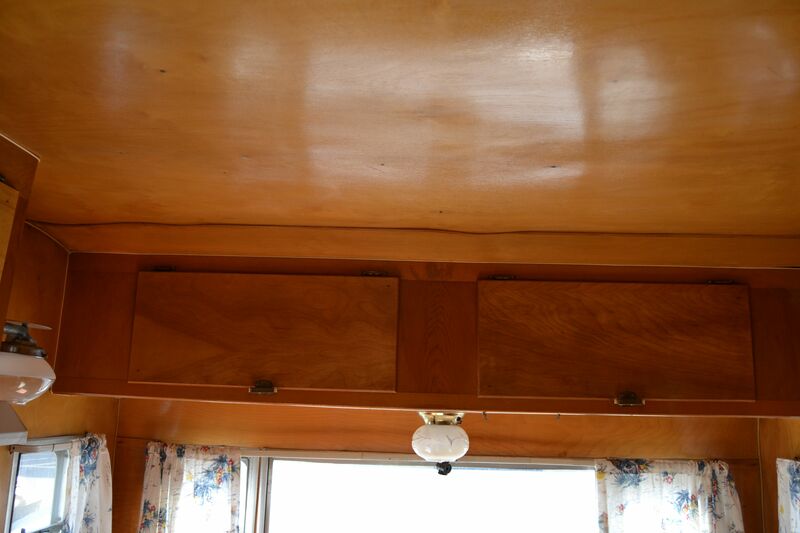 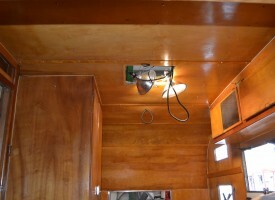 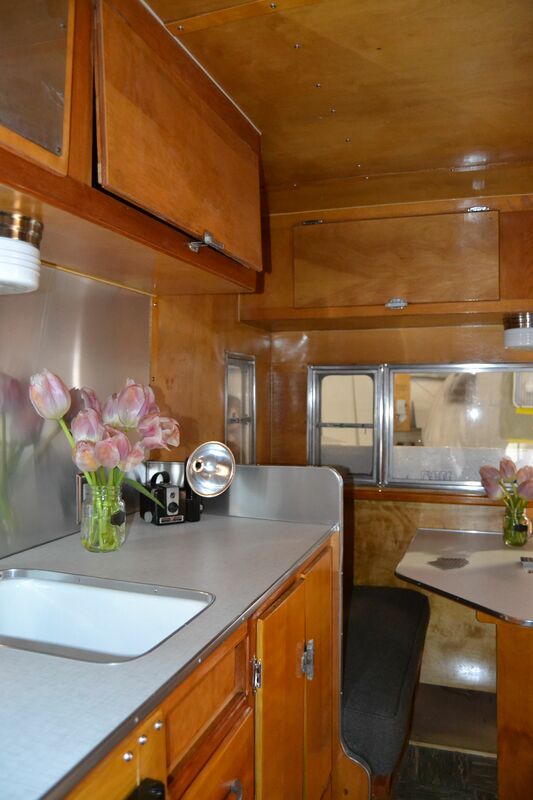 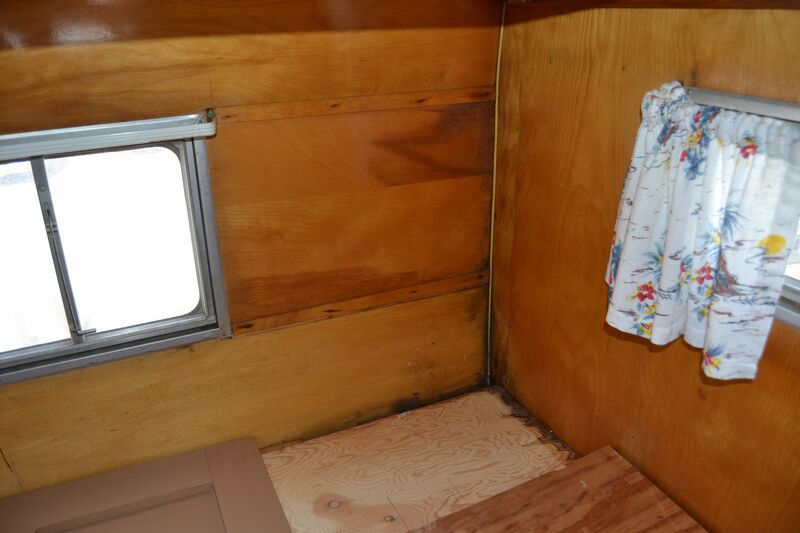 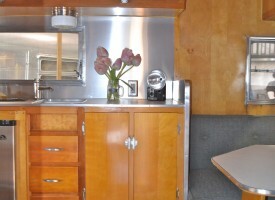 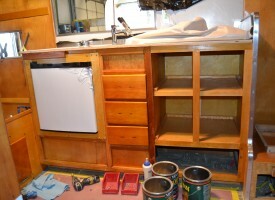 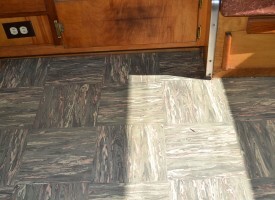 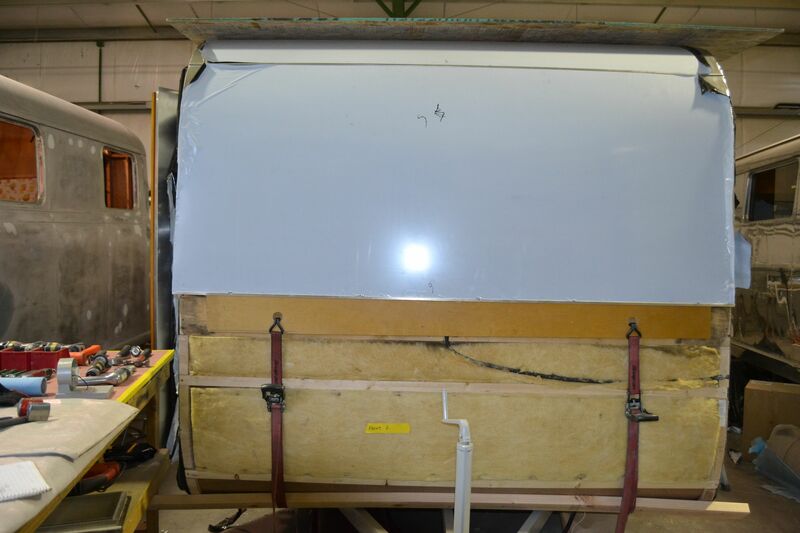 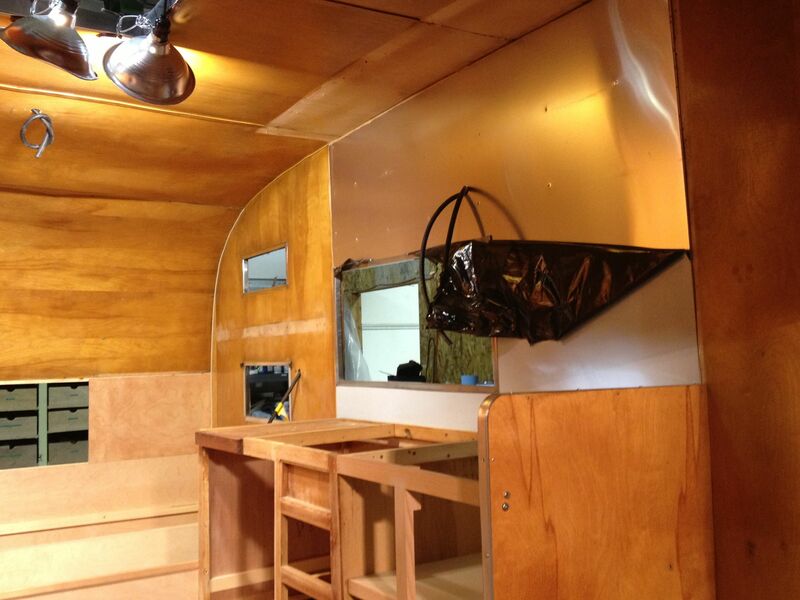 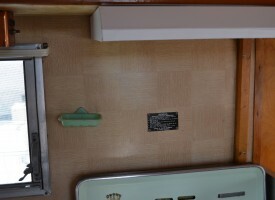 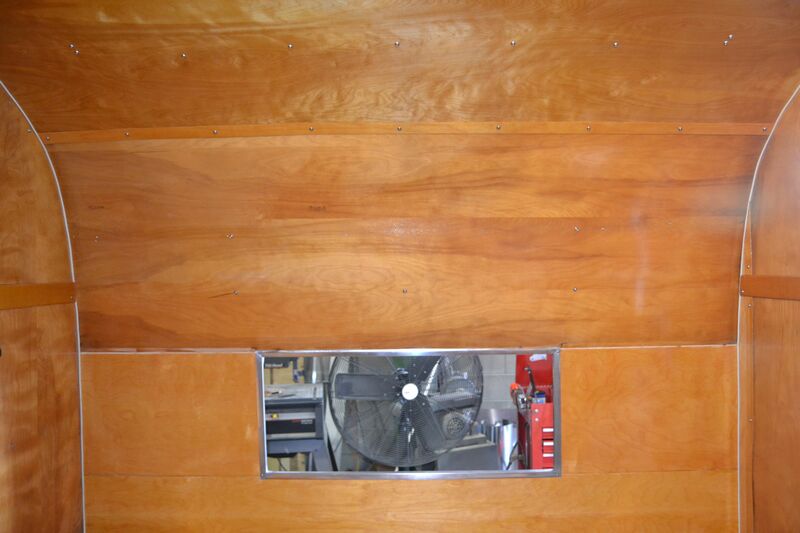 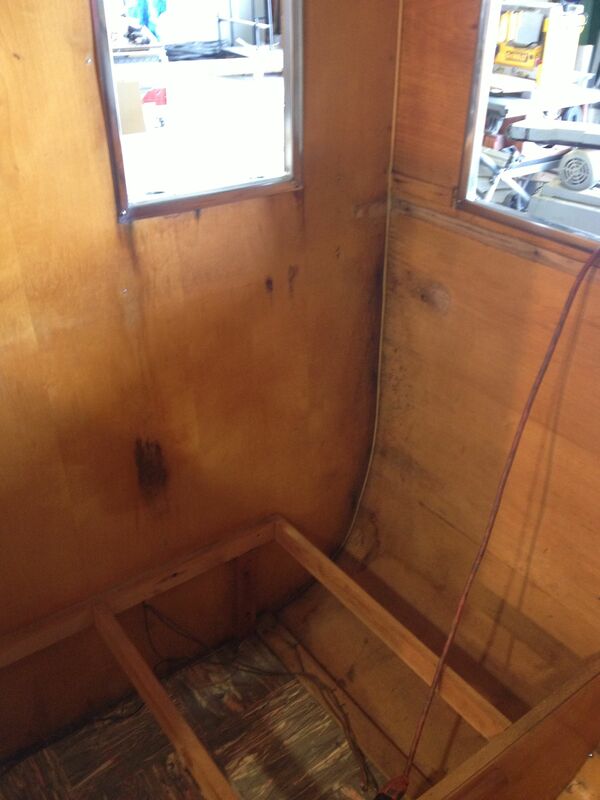 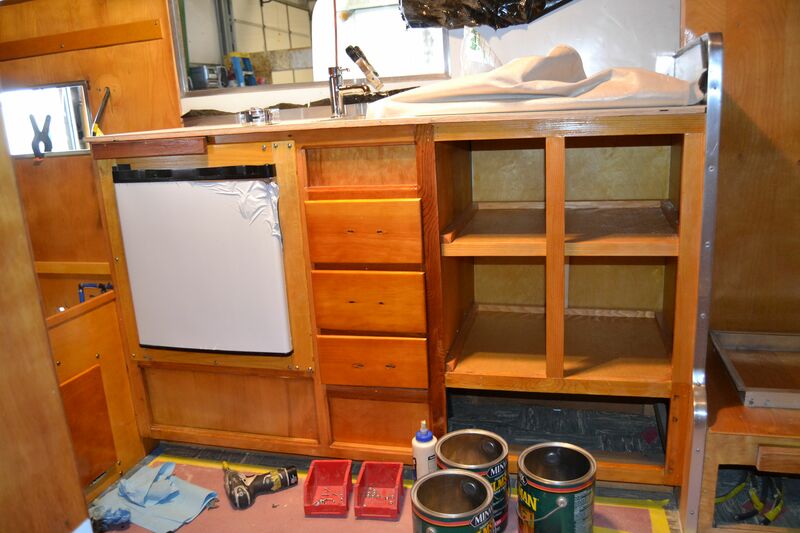 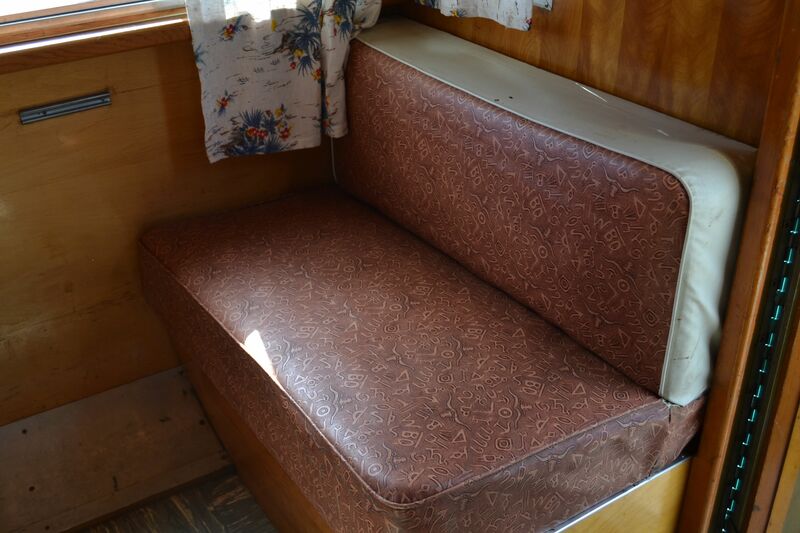 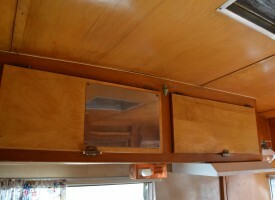 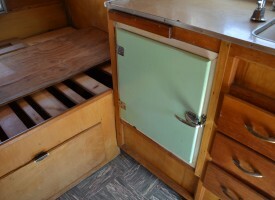 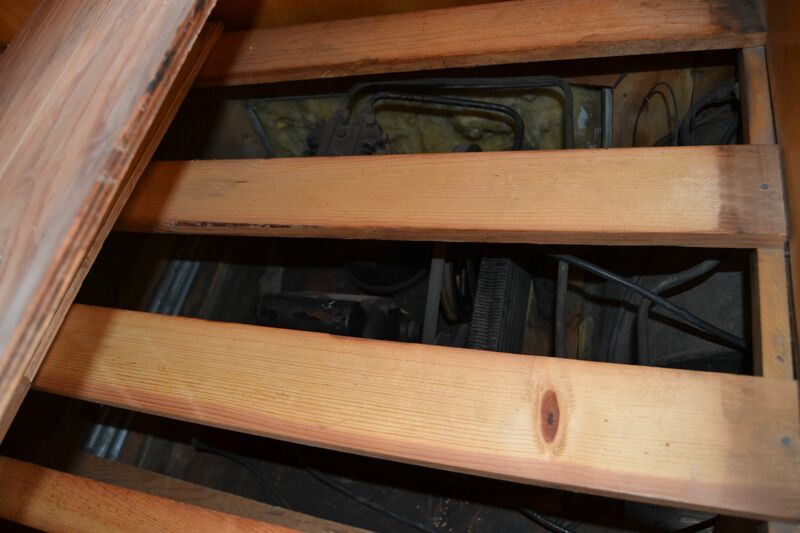 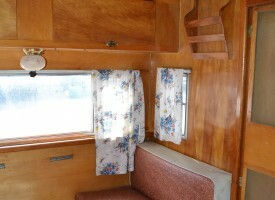 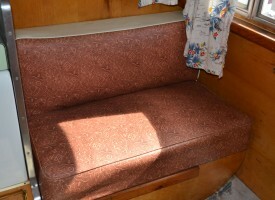 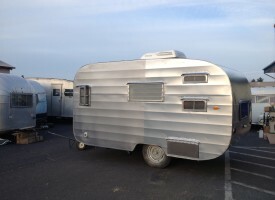 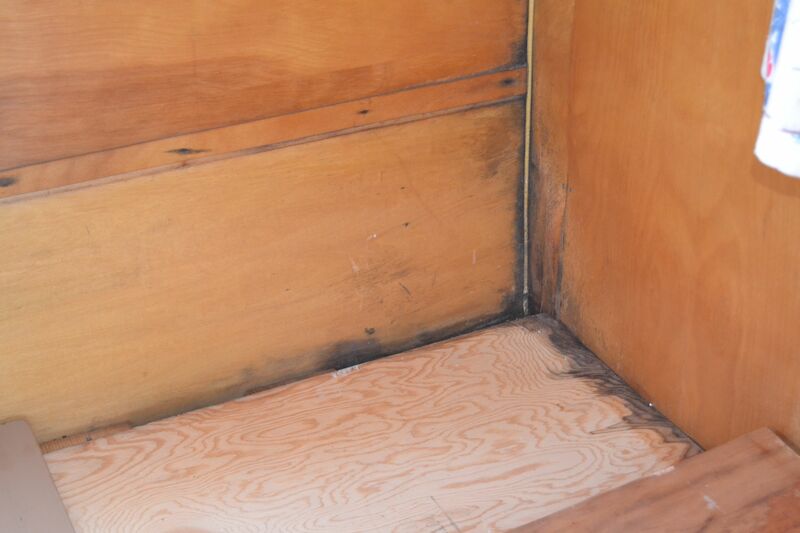 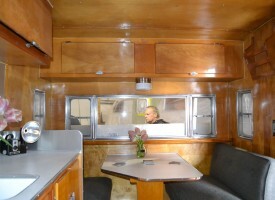 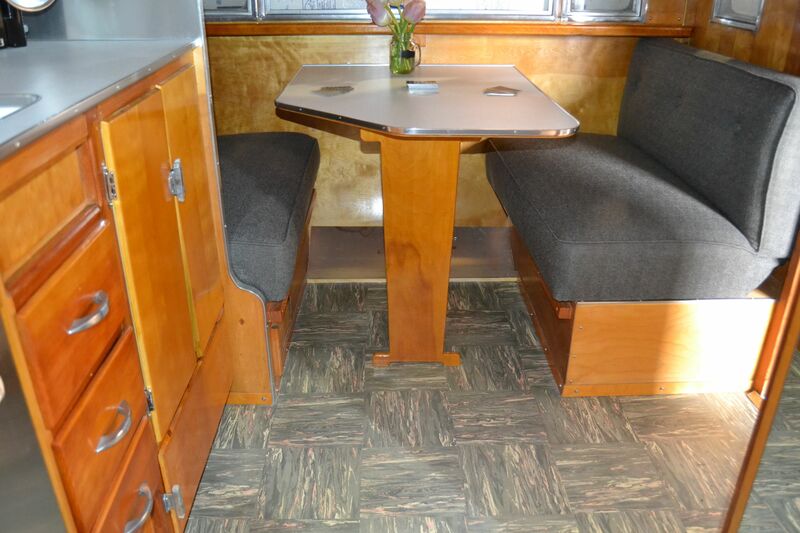 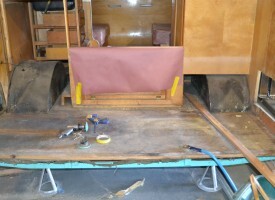 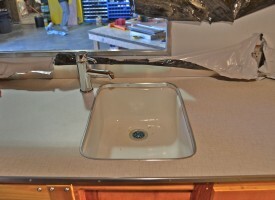 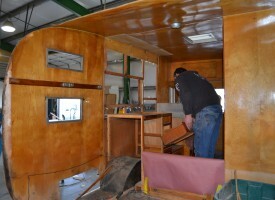 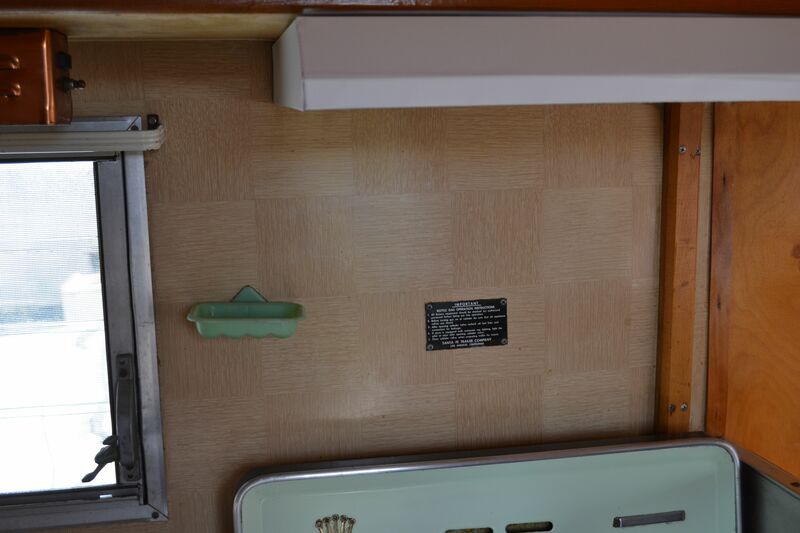 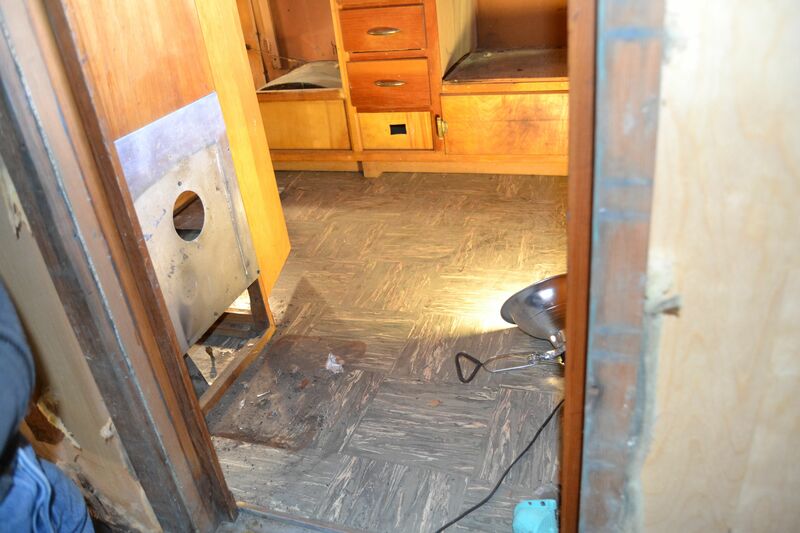 The trailer has all new exterior aluminum skin, new countertops, and upholstery, but we were able to save most of the original woodworking, and the original flooring. 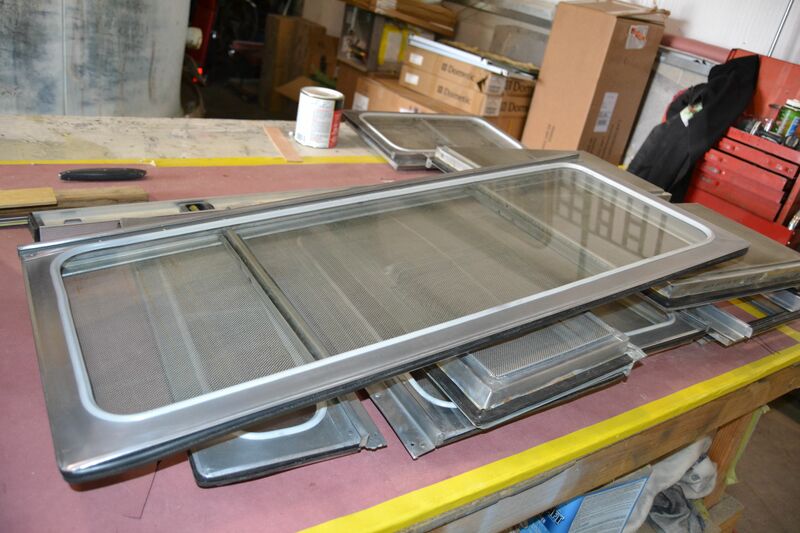 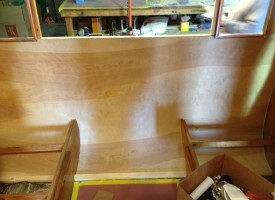 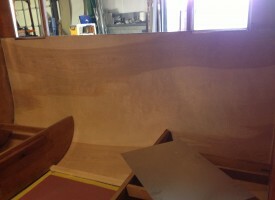 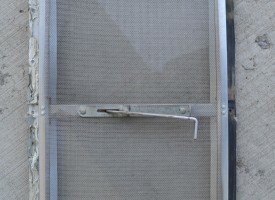 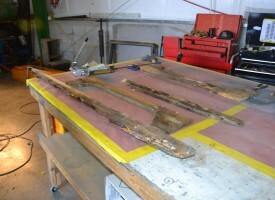 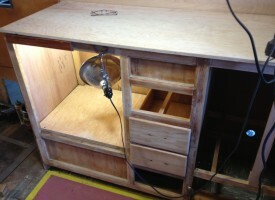 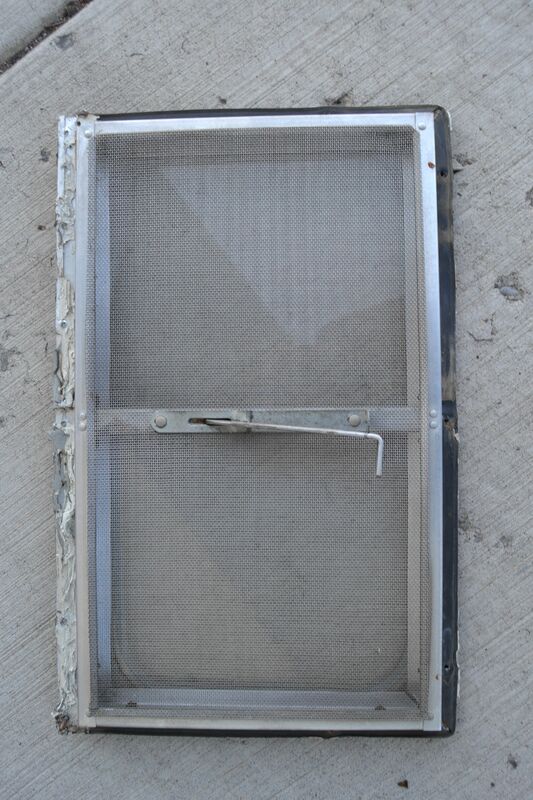 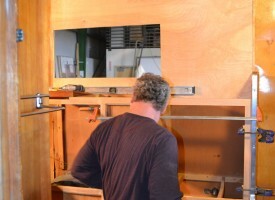 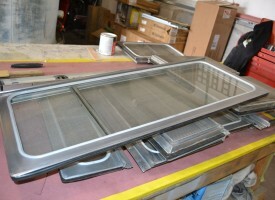 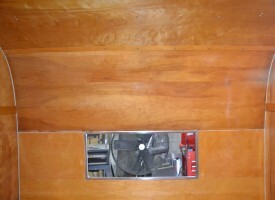 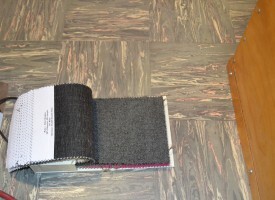 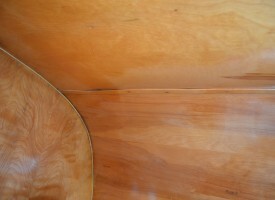 These photos show some of the work that went into this build.